fc internazionale milano | INTER CLUB PAVIA "C'E' SOLO L'INTER"
Inter’s legendary German former midfielder, Lothar Matthäus was feeling rather sentimental about his time at the club, one which he on numerous occasions has stated he remembers fondly. The FIFA World Cup winner from Italia ’90, took to his official Instagram account posting the photo below, from when he led Inter to the club’s first UEFA cup win of 3, in 1991. The post Inter Legend Lothar Matthäus Remembers The Nerazzurri’s UEFA Cup Win In 1991 appeared first on Sempreinter. Inter’s Italian central defender Andrea Ranocchia is fully focused on Saturday’s Serie A clash at the Stadio Giuseppe Meazza in Milano’s San Siro district, when the Nerazzurri host AS Roma, with kick-off scheduled for 20.30 CET. The post Andrea Ranocchia: “Working Ahead Of Inter Vs Roma” appeared first on Sempreinter. AS Roma’s Bosnian international striker Edin Dzeko has declined advances from Premier League outfit West Ham, preferring a move to Inter, Milano based newspaper Gazzetta dello Sport reports. According to the report, Inter CEO Marotta and Sporting Director Ausilio, have already decided to strike after the former Man City striker has so far failed to agree terms with Roma over a contract extension. The player has been wanted by Inter in the recent past and has made it clear that he prefers staying in Italy and the Serie A over a return to the Premier League, effectively shutting the door on West Ham. Furthermore, the Gazzetta reports that negotiations between the two clubs could commence already after the match between the two sides on Saturday. A deal between the parties hinges on the fact that Mauro Icardi were to be sold, but so far no such interest has been recorded other than a small inquiry by Atletico Madrid. The post Roma’s Edin Dzeko Declines West Ham – Wants Transfer To Inter appeared first on Sempreinter. AS Roma manager Claudio Ranieri will have to do without Giallorossi captain Daniele De Rossi as well as former AC Milan winger Stephan El Shaarawy, in the Serie A clash against Inter at the Stadio Giuseppe Meazza in Milano’s San Siro district on Saturday night, with kick-off scheduled for 20.30 CET. This according to a report by Milano based newspaper Gazzetta dello Sport who report on their homepage that El Shaarawy did not take part at all in today’s training session at Trigoria. The post Stephan El Shaarawy To Miss Roma’s Clash With Inter Due To Injury appeared first on Sempreinter. Juventus list of injured players ahead of next Saturday’s Serie A clash away against Inter at the Stadio Giuseppe Meazza in Milano’s San Siro district keeps on growing. The latest addition to the list of players that will miss the derby d’Italia clash, is Argentinian international attacker Paulo Dybala, Italian broadcaster Sky Sport Italia reports. According to the report, the results of the player’s medical examination have shown that he has suffered a muscle tear which will keep him sidelined for at least 2-3 weeks. This means that aside from the Inter clash, Dybala will also miss the match with Fiorentina. Earlier today, German international Sami Khedira tweeted that his season has effectively ended as he will undergo surgery to his knee, following four months of playing whilst in severe pain. With the Serie A title already won and no other competitions or titles to compete for, Juventus will not risk the health of their players and as such they have given the green light for the German to undergo surgery in order for him to be fully fit for next season. The post Juventus’ Paolo Dybala Injured & Will Miss Clash With Inter appeared first on Sempreinter. Inter may have been mere spectators in this week’s Champions League Quarter Finals, but in my view there were various scenarios that could apply to our situation, and lessons to be learned. Before the competition started, we all knew that our group was the hardest one with Barcelona, Tottenham and PSV. What we’ve learned this week was that it was even harder than we may have imagined. It needs to be highlighted that both teams who progressed from our group have now reached the semi-final, and could even possibly be the final of the competition. Furthermore, PSV, who the Italian media quickly labelled them as only a formality to be beaten, have been dominating Ajax for the past years and are still neck-to-neck with them for this year’s title. Despite all this, Inter were on the verge of qualifying and had the same points of the English side. Now, I’m not saying this reasoning heals all our wounds and erases our grudge for not qualifying from that group. I still believe that with a little more conviction in the last game, we could have completed a great feat against such formidable opponents. You don’t go far if you don’t have a solid defence. Look at Manchester City. From the midfield upwards they leave you in awe as you see them play, and boast some of the greatest European stars in their attacking-minded lineup. But they always failed to progress far, and this year was no exception. They conceded three goals against Tottenham on their own turf, and this meant elimination. The same applies for Atletico Madrid, who let a two-goal advantage slip away from their hands after conceding three goals in one game to Juventus. On this point, we look rather good defensively. Skriniar and De Vrij have been quite solid at the back, with Miranda a suitable replacement. This line-up will be further improved with the arrival of Diego Godin from Atletico Madrid, an experienced defender who will certainly contribute to our defensive qualities. 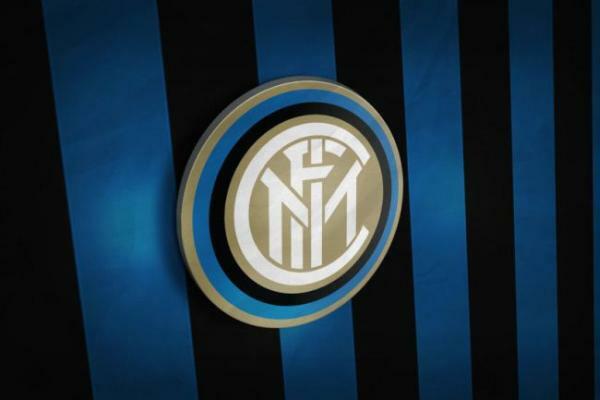 As Inter supporters, we have a tendency to look at the Transfer Market as the sole solution to address all our woes, especially after a negative season. Maybe because we got used to the pharaonic transfer sessions carried out by Moratti two decades ago. But let’s look at some of the protagonists in the Quarter final who show us a different picture. Juventus boasted about the ‘deal of the century’ after buying Ronaldo €100Million, but this was not enough to qualify against a young Ajax team who fielded academy players with a lot of potential. Tottenham Hotspurs did not sign one single player in Summer, and despite being injury-plagued in the past days, they are now in the semis. This is also what Marotta said earlier this week, underlining that Inter need to be strengthened with carefully chosen players and not with a widespread overhaul of the current squad. He said that Inter will target specific players with a winning-mentality to assist in Inter’s continuous growth and development. Let’s hopefully keep these three lessons in our mind when we start planning the upcoming season. The post Three Things Inter Could Learn From The Champions League Quarter Finals appeared first on Sempreinter. Inter’s Spanish midfield playmaker Borja Valero, will recover in time for the Serie A clash on Saturday at the Stadio Giuseppe Meazza in Milano’s San Siro district against AS Roma, with kick-off scheduled for 20.30 CET. This according to Italian broadcaster Sky Sport Italia who report that the former Fiorentina player has taken part fully in all training exercises today and barring any unforeseen event, should be available to even start the match. This follows the report earlier this past week that the medical examinations Valero underwent on Monday, showed that the injury was far less serious than expected. However, Inter coach Luciano Spalletti will have to do without Croatian international midfielder Marcelo Brozovic against Roma, who according to the same report, did not take part in the training with the rest of the group today. Instead, Brozovic worked on his own, following the rehabilitation regime the Nerazzurri medical team have set him up with and the aim is now to have him back for the Derby d’Italia match next week against Juventus. The post Borja Valero To Be Fully Fit For Inter’s Clash With Roma appeared first on Sempreinter. Geoffrey Kondogbia operato d’urgenza a causa di un coagulo di sangue dopo il primo intervento alla coscia: stagione finita per l’ex Inter. Just a few weeks after last officiating an Inter game in the Serie A, in the derby della Madonnina, when the Nerzzurri defeated AC Milan in a 5 goal thriller, Marco Guida once more finds himself in charge of a Nerazzurri game at the Stadio Giuseppe Meazza in Milano’s San Siro district. Guida will have Meli and Valeriani as his assistants whilst Manganiello will act as the fourth official with VAR being run by Calvarese and Vivenzi. The post Marco Guida To Be In Charge Of Inter Vs Roma appeared first on Sempreinter. Napoli’s Senegalese international central defender Kalidou Kouliably, touched on the racist chants he suffered during the Serie A game against Inter this past Boxing Day as well as and on the red card he received in the match, when speaking with Milano based newspaper Corriere della Sera. Koulibaly admitted that his reaction which got him sent off was wrong and that he has learned from the experience, whilst also making no excuses for the racist behavior he endured. Koulibaly was sent off after insulting the referee, in a match that became notorious for all the wrong reasons following the disgraceful behavior of the Curva Nord, who continuously hurled racist abuse at the player. The post Napoli’s Koulibaly On Being Sent-Off Against Inter: “Reacting On The Pitch Is Counter-Productive” appeared first on Sempreinter.